Fritz Lowenhardt, the nephew of Erich von Stalhein, visits Biggles. Lowenhardt tells Biggles that von Stalhein is now a political prisoner on the island of Sakhalin off the coast of Siberia. This is because Biggles has always beaten von Stalhein in their encounters and it is suspected that von Stalhein has been passing information to him. Lowenhardt warns Biggles that Biggles' life is in danger as there is a plot to assassinate him. Lowenhardt also asks Biggles whether he would be willing to mount a rescue mission to save his Uncle. Biggles turns him down flat. Later, attempts are made to murder both Lowenhardt and Biggles. After this, Air Commodore Raymond asks Biggles to go and rescue von Stalhein. 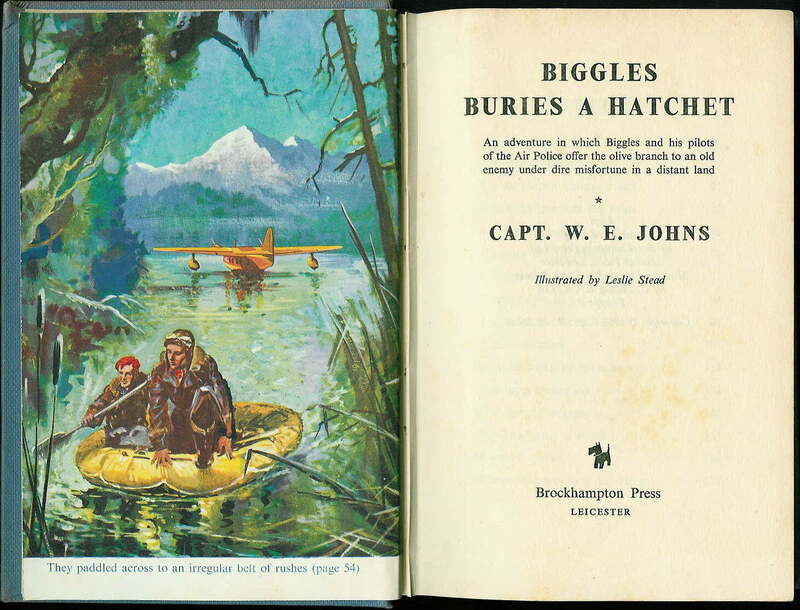 Biggles, Algy, Bertie, Ginger and Lowenhardt (who speaks Russian) fly to Sakhalin and hide their plane in the rushes on a river near the prison camp. Here they meet Ivan Miskoff, a former prisoner, who is prepared to help them, as he hates the guards so much. Finding the prison and viewing a work party, a prisoner escapes. Meeting up with him later, Biggles finds he is Pat Manton a US pilot who was unfortunate enough to have been captured after engine failure brought him down. With Manton's help, Biggles is able to establish where von Stalhein will be in a work party digging coal. Biggles builds a hide out of discarded turf near the location. Here Biggles and Lowenhardt hide to enable them to communicate with von Stalhein. They are able to speak to von Stalhein but find his legs have been shackled. This foils their initial plan. On a later occasion, Biggles (wearing Manton's prison clothes) swaps places with von Stalhein, allowing von Stalhein to enter their hide so Lowenhardt can cut through his shackles without him being missed. With Bertie and Ginger using a fire as a diversion, they manage to get von Stalhein away and escape back to their hidden plane. Von Stalhein agrees to return to England with Biggles and this they do, but not without being chased by three Russian Mig fighters and this is the picture that appears on the dust cover of the book.